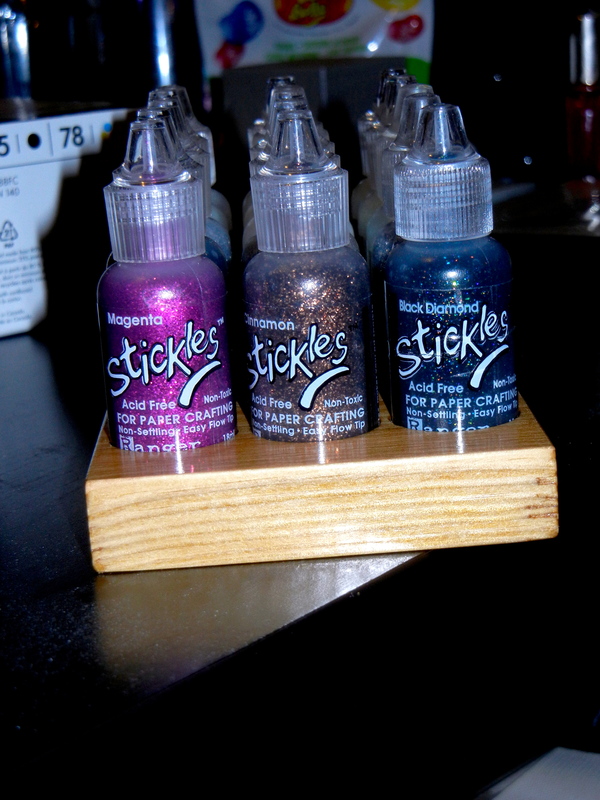 Here's the Stickles holder again - now it's finally stained and varnished to match the shelf. My fiance (just got engaged!) insisted I post a picture of it here. looks great - and congrats! Very nice!!! and Congratulations on your engagement!